The very first Douglas motorcycle manufactured by the Kingswood company in 1907 was a horizontally-opposed 350 twin. Many models then followed and four decades later, when the firm resumed production after WW2, they again based their range around a 350 twin. This time the ‘new’ T35 engine evolved from a wartime generator motor. 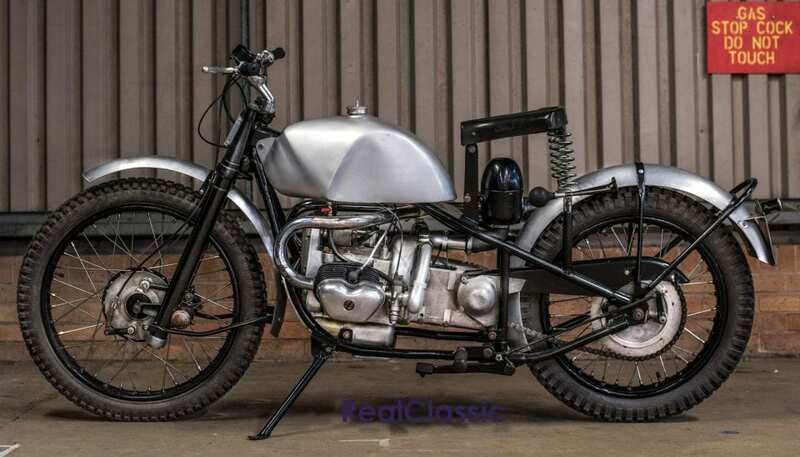 It was a unit-construction, four-speed, near-square 348cc twin, and those engine dimensions of 60.8mm by 60mm certainly contribute to the flat twin’s revvy characteristics. 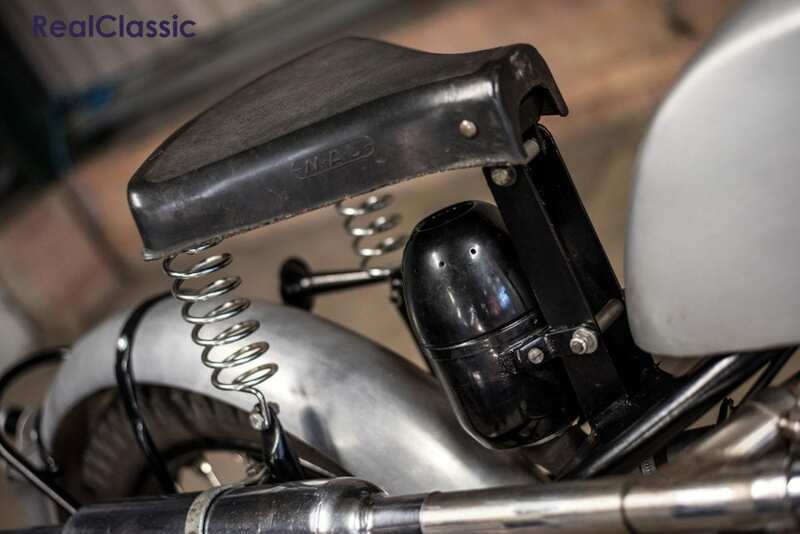 The 20bhp roadgoing T35 was also remarkable for its innovative suspension, with leading link Radiadraulic forks up front and a type of swinging arm suspension at the back, where rubber-mounted torsion bars acted as shock absorbers. The result, claimed the company, was ‘road-holding and steering far and away in advance of the majority of comparable machines. 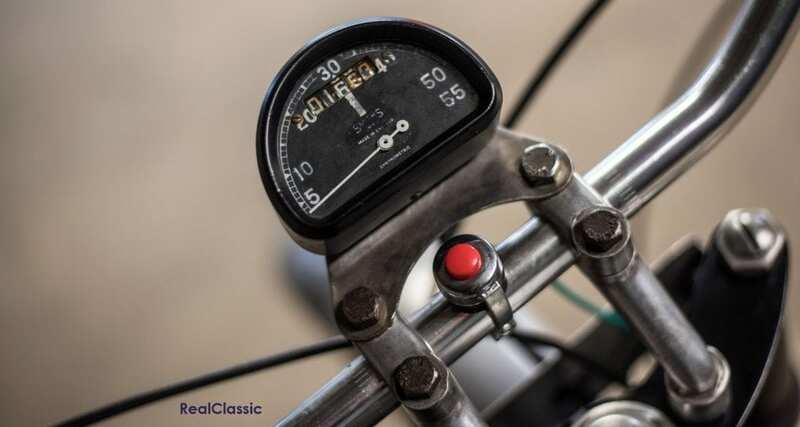 At all speeds, the road-holding is first rate.’ This, at a time when some much larger manufacturers were offering little better than pre-war bikes with girder forks and a distinct lack of any rear springing. The Douglas chassis was certainly sturdy, steadfast and sure-footed, but it wasn’t exactly light at 380lb. The early engines also suffered some teething troubles and it wasn’t until the Mark 3 came along in 1948 that the postwar Douglas hit its stride. 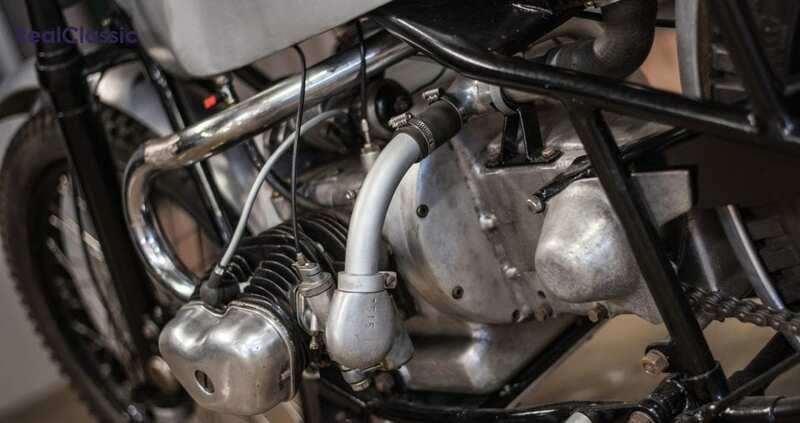 This sports model featured an improved cylinder head design, revisions to the frame, upswept exhausts and so forth – the result being around 22bhp and a top speed of 78mph, making the Mark 3 the fastest production 350 of its time. However, going flat-out wasn’t always so important – certainly not with the off-road Competition model. When the T35 was launched, a rigid version was also listed in the catalogue alongside the torsion bar bike. The rigid frame had been developed for a military model which never happened, so Douglas tried to sell it to the public. The public weren’t having any of it – not with the luxury of full rear suspension on offer – so Douglas were stuck with their rigid frames… and adapting them for off-road use seemed only logical. The engine was raised in the frame by reversing the mounting brackets to improve ground clearance, while the rest of the roadster’s specification was modified to suit the muddy stuff. 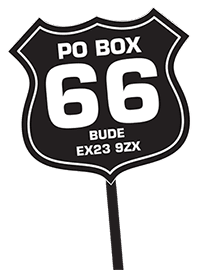 A 21-inch front wheel, slimline polished alloy mudguards, a 2.5 gallon steel petrol tank and high level exhausts arrived, along with lower compression 6.5:1 pistons and different gear ratios. First and second gears were very low indeed, with the inside of the gearbox suitably machined to fit the larger pinions. Even tuned to give good low-down performance the Douglas engine revved to 5000rpm – quite a bit higher than the big singles of the trials scene at the time. Some competition bikes were fitted with alloy cylinder heads and barrels but these weren’t a great improvement over the standard iron items. The Douglas engine didn’t need any extra cooling for off-road work and there were sealing problems where the alloy components expanded and contracted at different rates to the rest of the iron engine. Customers could specify whether they wanted a full electrical system or a ‘daylight only’ specification using a Lucas competition magneto sans battery, horn or lights to save weight. A more common carb problem for trials riders was the positioning of the pre-Monobloc units with their separate floats. When the machine was heeled over, one cylinder would run rich and the other would weaken. The Douglas also suffered from poor steering lock which didn’t help riders manage its sideways width. However, the extended Radiadraulic front end provided a superior ride to the rudimentary tele-forked opposition, with a full six inches of movement to tackle obstacles, and the 350 twin engine with its big flywheel churned out plenty of smooth power and controllable torque. 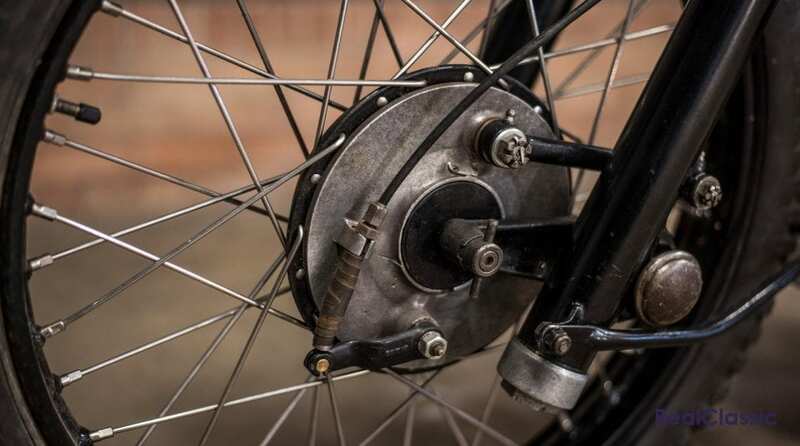 Even so, the Competition Douglas didn’t make a significant impact on trials history and the final batch of bikes were sold at a discount by Comerfords. 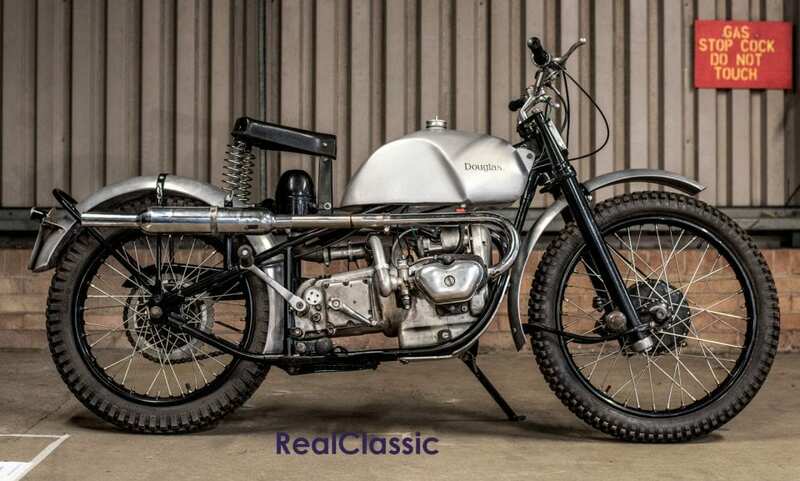 However, the Competition model proved to be exactly the inspiration owner SteveH was searching for when he started putting his own Douglas project bike together. ‘I started with an interest in Douglas machines about six or seven years ago,’ said Steve, which was when he began accumulating components and several incomplete machines. 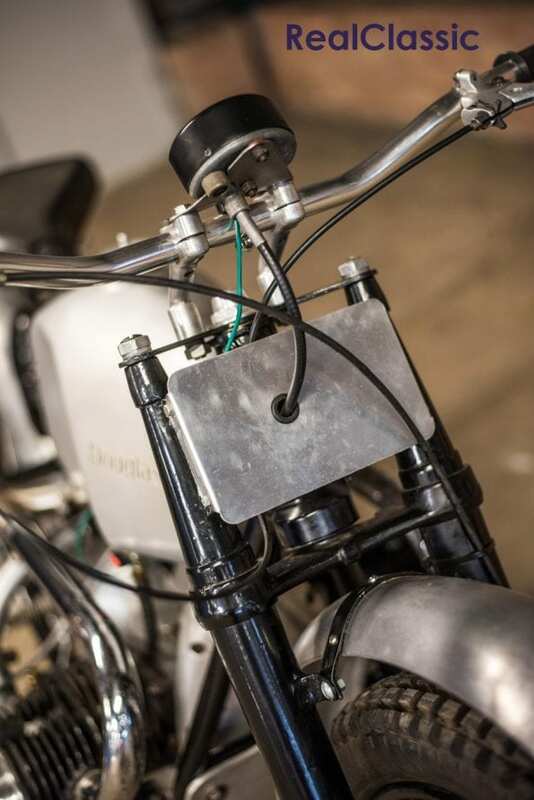 ‘I soon found I had acquired enough parts to make the recreation of a trials bike a possibility. So this has been built as a replica of the Competition model. And if classic dirt bikes are your particular thing, then there’s a whole magazine dedicated to them!